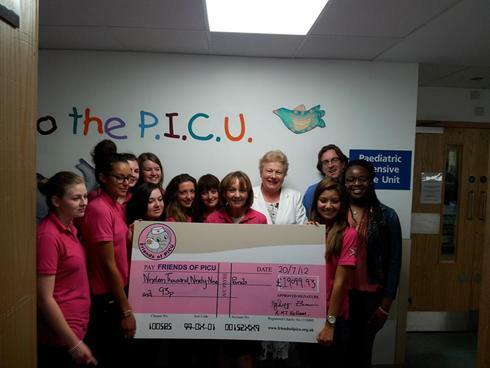 Colomo Convent School raised money for Friends of PICU by putting on many different fundraising events and presented a cheque to Friends of PICU for £19,099.93! These are some of the fundraising girls and their headteacher and 2 teachers. Mrs Hallum the teacher who co-ordinates the fundraising team is the mother of one of the senior staff nurses on PICU who also went to the school.